DIEGO Rivera remains Mexico’s greatest painter and a towering figure in world art and yet his work is relatively unknown outside the Americas. A sumptuous new art book from Taschen should go a long way in remedying this cultural deficit and – so lavishly beautiful is the book’s production – help find a place for Rivera’s images in your home. A copy of Diego Rivera: Complete Murals has to grace a coffee table: not only to have it readily available for gazing in wonder when turning the pages but simply because it is too large and heavy for most bookshelves (hardback, 29 x 44 cm, 674 pages). 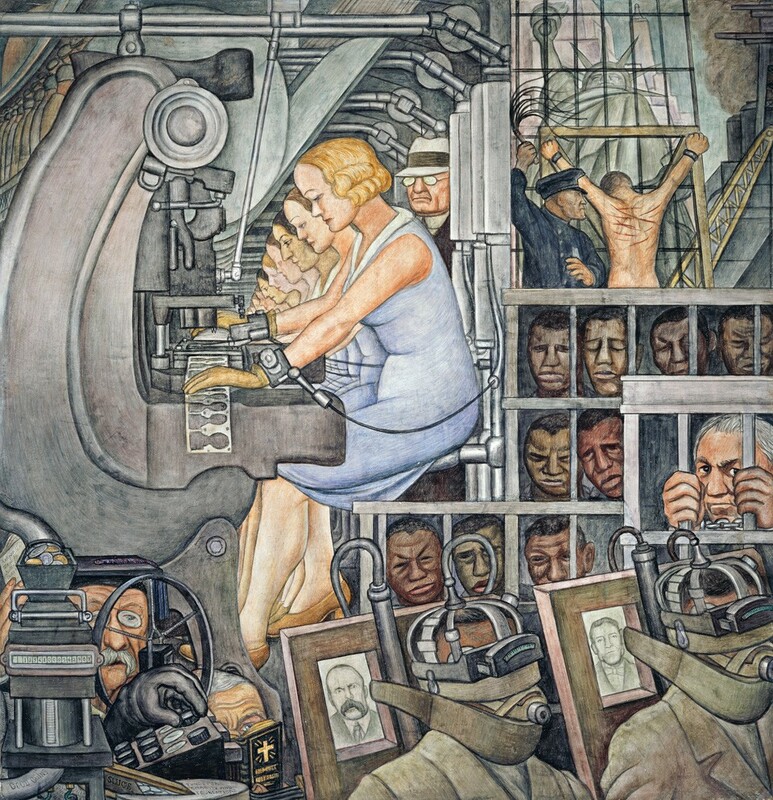 Diego Rivera painted murals, between the early 1920s and 1953, not only in his own country but also in San Francisco, Detroit and New York and this new book has glorious reproductions of them all. It is more comprehensive and infinitely better illustrated that any previously published book on Rivera. You will be spoilt for choice if trying to decide on which murals make the biggest impact or are most finely executed. The ones painted at the Detroit Institute of Art in Michigan rank as the most famous, partly because art connoisseurs tend to see his work there more than in Mexico City, Cuernavaca or Chapingo (where most of his murals are located) and partly because Rivera himself considered them his best work. 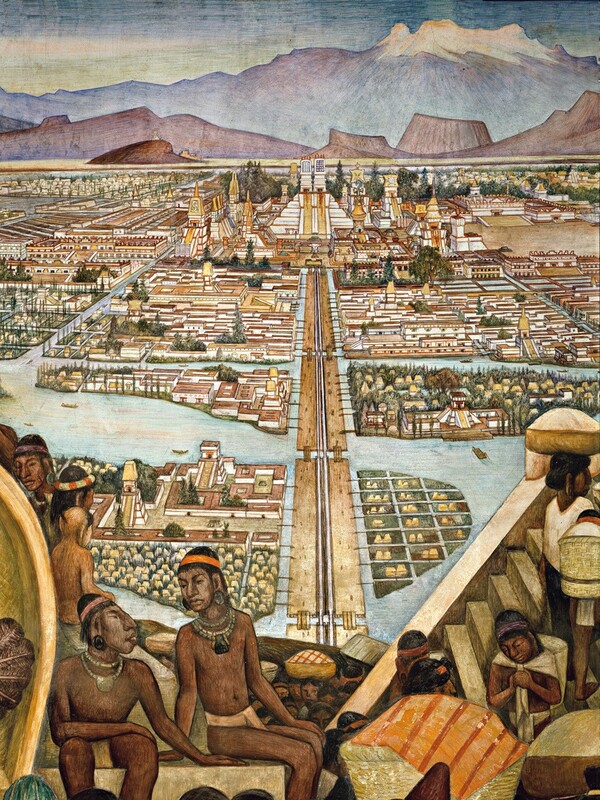 Diego Rivera: Complete Murals offers far more than a quick tour around his paintings. As well as large-scale, mesmerising images of his creations in double fold-outs, details of individual frescoes are reproduced and the textual commentary is informative and authoritative. What comes across strongly in this book is the way Rivera transformed the folk art aesthetic, making it turbulent and revolutionary in a way no one had attempted before him. The crowd scenes in his paintings are packed with people and everything is pictorially precise and exquisitely rendered, making it no surprise that he was capable of communicating with art lovers as well as an illiterate peasantry. 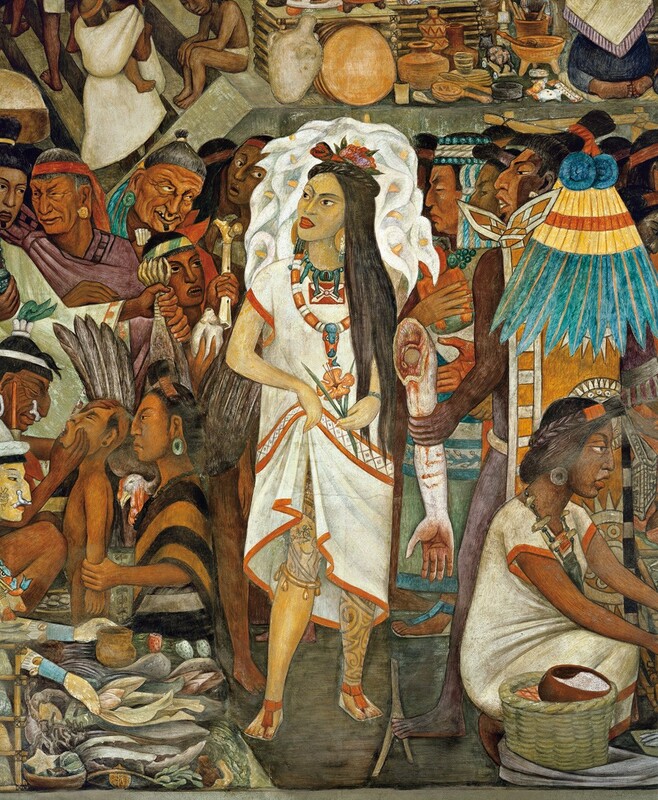 The artistic influences on Rivera were uniquely diverse – Cubism and European modern art (he had lived in Paris) and Mexico’s pre-Columbian culture – and the result is strangely like Renaissance religious paintings but utterly secular. 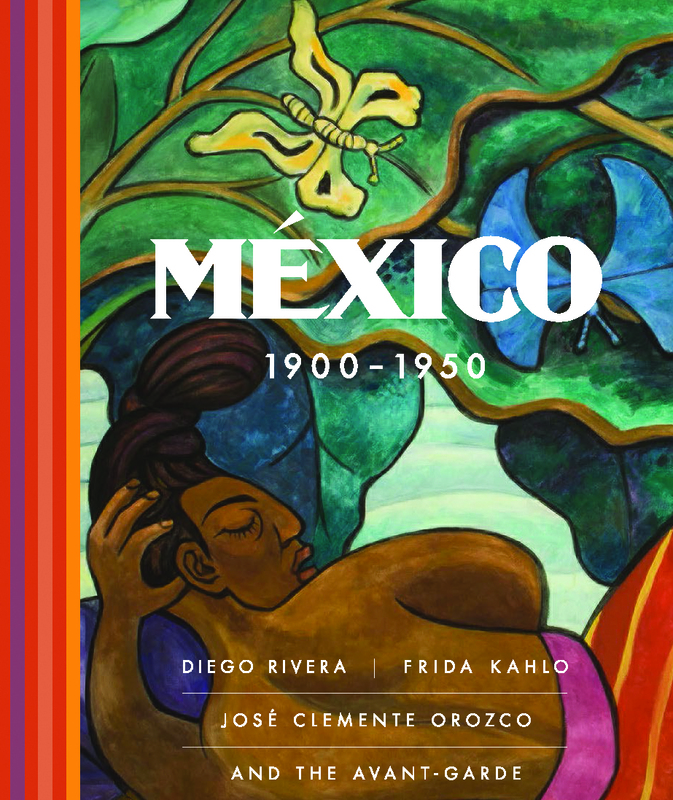 Rivera was not working in a cultural vacuum and the rich story that underlies his achievement is presented with relish in Mexico 1900-1950: Diego Rivera, Frida Kahlo, Jose Clemente Orozco and the Avant-Garde (Yale University Press). The book, combining scintillating visual content with essays by a series of art historians, lays out the artistic heritage of Mexican modernist art. The mixing of a cosmopolitan consciousness with experimental gusto and social realism produced a transcendent moment in art history. Diego Rivera, of course, features in Mexico 1900-1950 but so does Frida Kahlo, a Mexican artist who also found inspiration for her work in her country’s popular culture. She was drawn to that form of fantasy that became known as magical realism and pursued an independent career as an artist after her marriage to Rivera in 1929. They had become close when she was in hospital recovering from horrific injuries sustained in a road accident. Their relationship was a marital rollercoaster; divorced in 1939 and remarried a year later. Mexico 1900-1950 clearly shows European influences on Mexican artists: a photo of Angel Zárraga looking like Salvador Dalí and drawings by Roberto Montenegro that could be mistaken for the work of Aubrey Beardsley are just two of many examples. But then the Mexican Revolution started in 1910, there was alchemy in the arts and nothing was ever the same again. Muralists rule supreme at first; faces and bodies reference the pre-Hispanic world but not idealistically; there is an explosion of colour; and women artists are as important as male ones. The Artists Who Are Women; Women Who Are Strong chapter is an eye opener, drawing attention to individuals like Rosa Rolanda and Frida Kahlo and Minerva Cuevas (b. 1975). Mexico 1900-1950: Diego Rivera, Frida Kahlo, Jose Clemente Orozco and the Avant-Garde (Yale University Press).